Tea is a leaf, and its biology is very similar to all leaves. When the leaf is removed from the tree or damaged, it goes through the multicolour process of oxidation, from green to black. Image: ‘Oolong’ leaves falling in the garden! Green teas are un-oxidised, like a leaf which has just fallen. When making a green tea, the leaves are heated which destroys the enzymes in the leaf to stop them changing colour. Black teas are fully oxidised, like a leaf which has gone fully black. Oolongs are in the middle. After green, the leaf turns yellow, orange, red, and brown. This is the oolong zone. 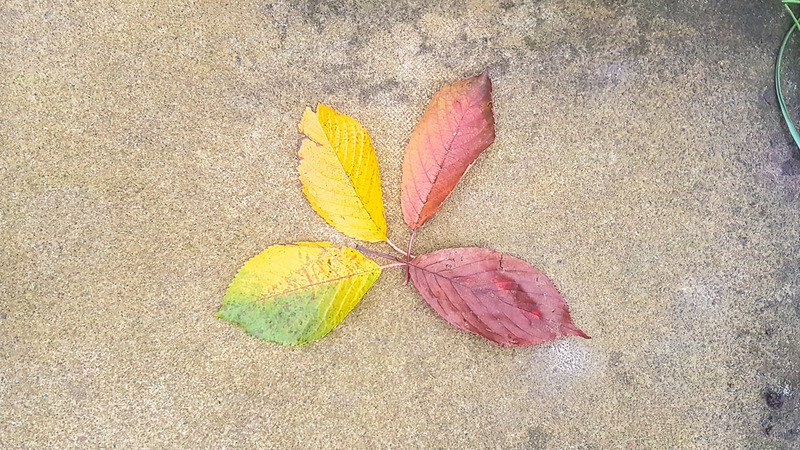 These leaves are partly oxidised. 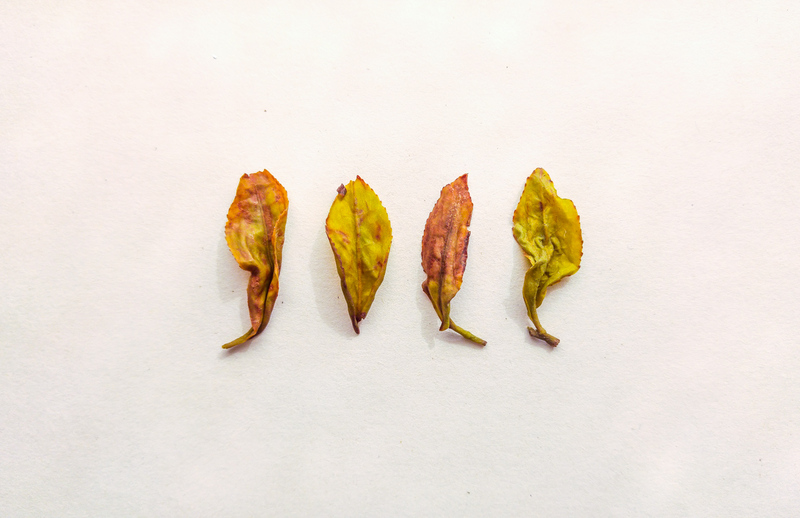 This enormous spectrum of oxidation makes oolongs the most broad spectrum tea type. That’s the first part of the story. Simply halting the oxidation process to make a ‘semi-oxidised’ tea might be an easy catch-all definition for an oolong, there are many more stages in the process of making tea which will determine the quality of your oolong. Heat them to stop the oxidation and dry the leaves. This is in my opinion just a light black tea. Wither them slowly, in the sun. Take them indoors and toss them for 12 hours overnight to oxidise them. Heat them in the morning to halt oxidation. Roll and dry repeatedly until dry. The latter is the process with the Taiwanese oolongs in our collection. 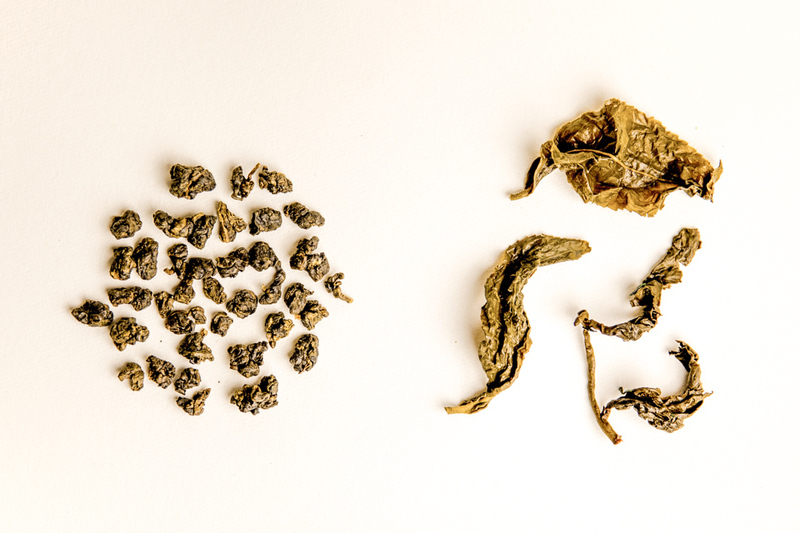 So as you can see, an oolong is a bit more complex than just a partly oxidised leaf. If you want to get geeky about it, it’s a tea where the heating to stop the enzyme is done somewhere mid-process. You will always find the occasional exception to the rule and there will be some tea experts who will disagree; but this definition will serve you well. In our collection, we usually hold oolongs from Taiwan, Nepal, and Japan. 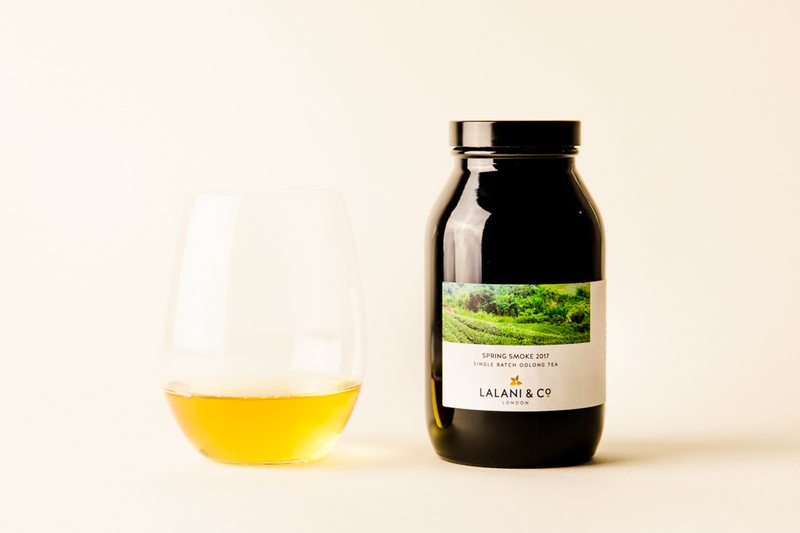 Have a browse through the collection and learn more about each oolong and the producers who grow them.